*Although lesson 36 is labeled 37, there are really only 36 sessions total. We had a scribal mistake in the originals and are trying to correct it in the copies! 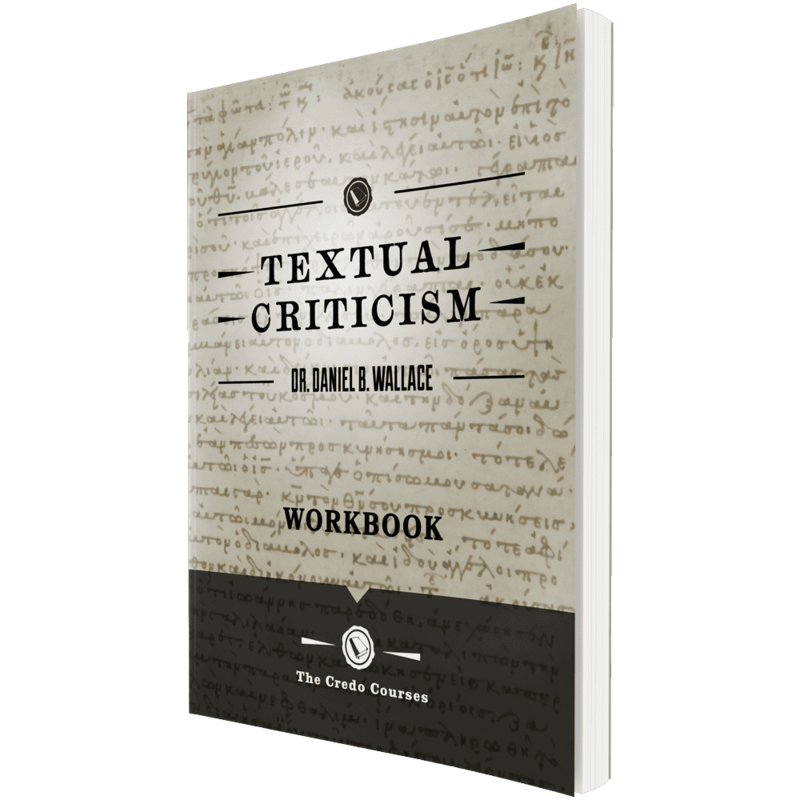 Dan Wallace’s Credo Course on Textual Criticism is deep, detailed, and entertaining. He is a Bible scholar, professor at Dallas Theological Seminary, author, executive director at the Centre for the Study of New Testament Manuscripts, and one of the chief editors behind my favourite online Bible, the NetBible. He obviously loves the material and has intimate, firsthand knowledge of it. He is also an engaging speaker and educator. 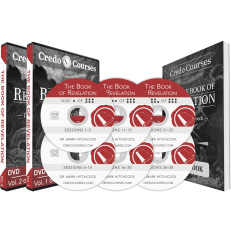 This course falls generally in the category of bibliology, assumes the inspiration and inerrancy of the autographs, and discusses the transmission of the New Testament and even the significance of the materials used in its production. Mostly, though, it is a fascinating exploration of the accuracy of that transmission and a study on the art and science of textual criticism. The teaching is set often in response to advocates of the KJV-only, textus receptus, and majority-text schools of thought. Against these, and against the contrasting backdrop of Bart Erhman’s exaggerated skeptical critiques, Wallace demonstrates the validity and accuracy of the New Testament in general and, in particular, of the so-called modern translations. On translational philosophies Wallace articulates very well a point about word-for- word translations that resonates with me; there is no such thing, he says. If it is word-for-word it is not a translation. His discussion on Erasmus’ Greek New Testament, the basis of the Textus Receptus, is a highlight for me and is a great supplement to material I had encountered in a previous seminary course. We are reminded that Erasmus was working with only a handful of Greek texts, that they were all late ( tenth century at the earliest ) and all Byzantine, coming to Erasmus primarily from scholars of Byzantium fleeing the Turks. This means they are actually much later than the Greek texts used in the modern translations, such as the Alexandrian Codex Vaticanus and Codex Sinaiticus. Also, the Byzantine archetype itself originated around 400 A.D.and is, therefore, further from the original than the other families of translations whose roots are deep in the second century. Wallace deals with three families of translations, the Alexandrian, Western, and Byzantine. The Byzantine text is something of a compilation of the Alexandrian, the most accurate generally, and the Western texts. The Byzantine text often takes Alexandrian and Western readings and puts them together, using the wording of both when they vary from one another. Its philosophy was to protect everything received and so often did not discriminate between readings, but included both. It also was more likely to include glosses into the text as well. Wallace shows that only 1/4 (elsewhere he says 1/5) of 1% of the 400,000 variants in the texts are viable and meaningful, and that none of these touches on or alters any Christian doctrine. The vast majority involve only different spelling choices, and Wallace also shows how errors of omission or duplication account for the next largest group of variants. Much of his lecture is spent discussing some famous variants and how scholars go about determining which are the original readings. This is a fascinating look into the field and he shows that the number of texts with a particular variant, and the antiquity of those texts, are important though not exclusive factors in determining the true reading. One other concept is the favouring of the more difficult of variant readings as the discrepancy would often arise in an attempt to explain, harmonize, or smooth out a reading. Some of these occurred because the scribes were not as deeply immersed in the OT as were the NT writers and so did not understand where odd grammatical constructions were intentional – either pointing to quotes or to different genres. Scribes might, then, try to smooth out what they saw as grammatical errors. In other cases they could also add words to clarify such things as who is speaking in a particular passage because in their liturgy that passage would have been read on its own and, detached from its context, the pronouns were not clear to the hearer of a particular passage. Anther factor in determining which variants might be more accurate is the nature of the book in which it is found. Wallace teaches that Mark’s Gospel, for instance, is a more open-ended, dialogical one, where the reader is encouraged to encounter Jesus, sense some ambiguity, and come to the conclusion that He is the Son of God along with the original audience. Therefore, Mark will present things with more ambiguity. Matthew’s Gospel is more pedagogical and he is actually presenting the already-settled facts that one is to believe. Matthew, then, is less likely to leave questions unanswered, or present facts that Mark did if they would make one wonder about Jesus. Matthew, instead, is presenting the foregone conclusion. Knowing this we can see variants arise where scribes tried to harmonize the Gospels, removing Markan references to replace them with Matthew’s. Wallace also teaches a lot about particular famous manuscripts, their discoveries, and characteristics. He has personally studied and photographed many of them and shares anecdotes about the museums in which they are housed, the markings students have put upon them, where they were found, and even the characteristics of their discoverers. His segment on the Codex Sinaiticus was excellent and he even debunks a widely held story that originates directly from, Tischendorf, who discovered it at St. Catherine’s and thought it had been consigned to the trash for burning. This is a wide-ranging course that is both very informative and entertaining. It has opened my eyes to the way the scribes worked and changed my perspective on how to view inerrancy in the autographs. Wallace’s teaching also has much apologetic value and has strengthened my confidence in discussing supposed contradictions in the Bible. 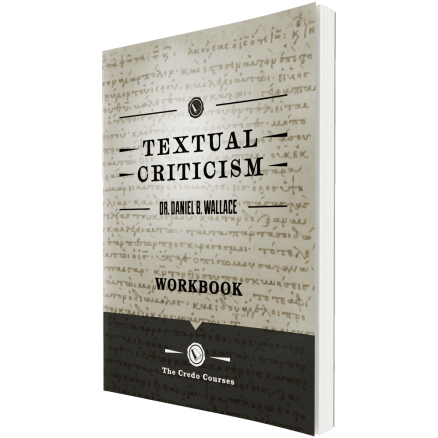 This is a helpful resource for bible students who want to know more about textual criticism. Thanks for the free audio download. I had a few tears of thankfulness to God tonight as I was driving back home listening to the part of the audio course I’m at. This teaching is really helping me out wrestling with legit intellectual doubts. I am extremely grateful that God inspired prof Daniel to dedicate so much of his life on this topic. He is doing invaluable work to strengthen Christian faith over the English speaking world and reaching down to me.also in Quebec Canada which is basically French speaking. 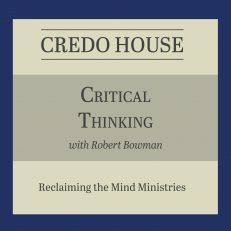 Thanks to Credo Courses for this audio giveaway that is really pushing me towards a solid faith in Christ based on solid grounds in this age of deep confusion. Thanks again prof Daniel you are a beloved brother and I prayed for you. May God strengthen you and keep you close to his heart forever. Thanks for your dedicated life and hard labor for the cause of Christ that is not in vain. Be blessed and fruitful still. Excellent and substantive overview on textual criticism. Well worth the time to get an idea of what textual criticism is and how it affects every believers view on the reliability of scripture. Daniel Wallace’s course on New Testament Textual Criticism has been a salve to my quest for understanding textual variants as revealed in detailed biblical studies. His straight forward, in depth discussion concerning variants has been extremely useful and has opened up additional study avenues to me. 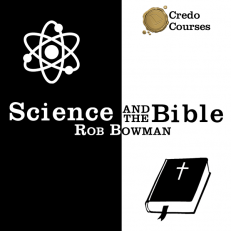 I strongly recommend this course to anyone student of the Bible. The knowledge I have gained will definitely end up being used in my classes and my personal research efforts. Thanks so much for producing this course and I look forward to an Old Testament Textual Criticism course. Let me know, so I can purchase that course as well. The presentation both in Video and auido formats corrects many misunderstanding surrounding the texts of the NT and its history. 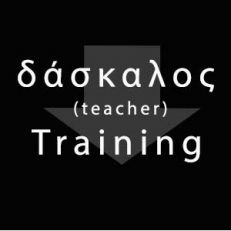 Excellent for those starting their Greek exegesis courses. I would give it 6 stars if I could. Outstanding class on NT Textual Criticism from one of the best (if not the best) Textual Critics on the planet. I’ve listened to every lesson at least once. Every serious bible student and every aspiring apologist (which should be every christian) should listen. 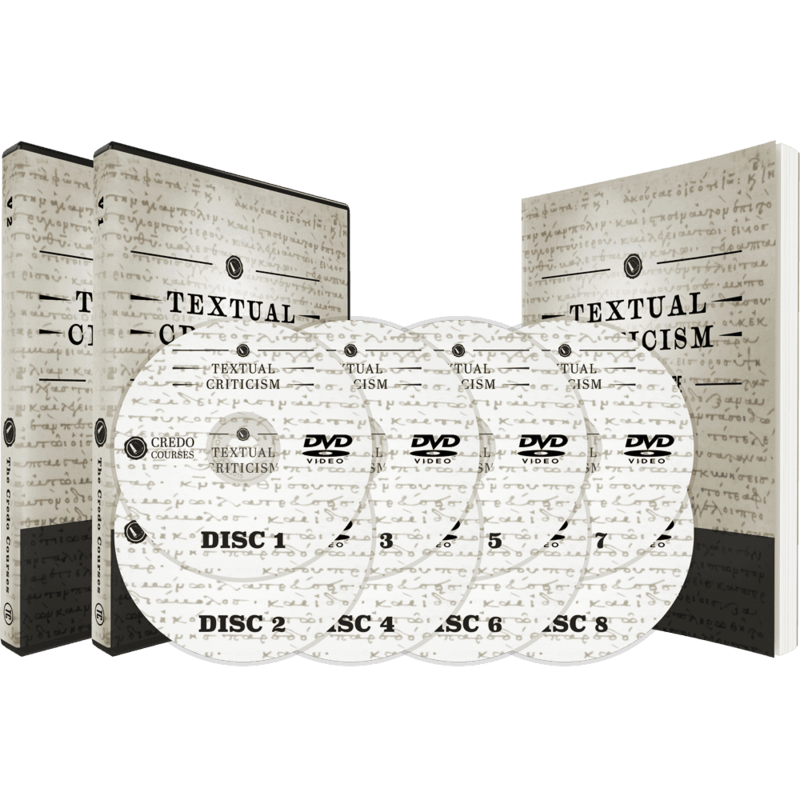 This is the best way to learn about textual criticism I have seen so far, but it’s so much more! It may be one of the best courses I have seen, even though it seems like we’re just listening to a scholar talk about his experiences. 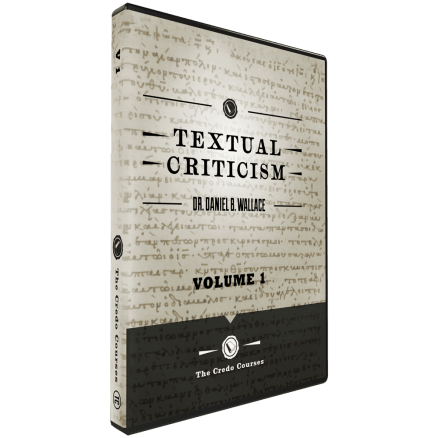 Wallace teaches from a wealth of experience in the field but distills everything necessary to know (and more) about textual criticism down for us so that we can understand. At the same time, he deals with the contemporary issues around textual criticism. This makes this course on of all things, textual criticism, truly encouraging–an affirmation of the reliability of the NT and of scholarship, generally. I’m doing my doctorate on the NT, but I think just about everyone who reads the NT should watch or listen to this course.